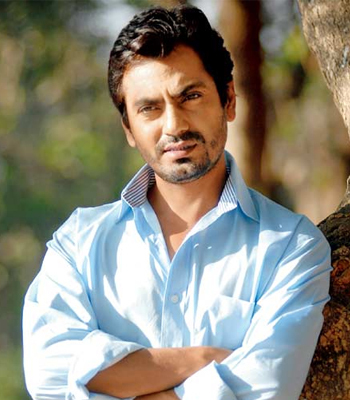 Nawazuddin Siddiqui (born 19 May 1974) is an Indian film actor who has appeared in some of Bollywood's major films including, Black Friday (2004), New York (2009), Peepli Live (2010), Kahani (2012), Gangs of Wasseypur (2012), Gangs of Wasseypur - Part 2 (2012), Manjhi (2013) and Talaash (2012). After a period of unnoticed performances in his early career, he appeared in four major films of 2012 – Kahaani (2012), Gangs of Wasseypur (2012), Gangs of Wasseypur – Part 2 (2012) and Talaash (2012), all of which earned him wide critical reception and many Awards including Screen Award for Best Supporting Read more..
Comedian Kapil Sharma’s marriage was a PR stunt? Movie date for Chidiya Ghar actors! B-town actors who played GHOST onscreen! Nawaz's most favourite actor is _________. Bollywood superstars turned negative for which films? Who is the most underrated actor? Who clicked the best selfie at the 13th Indian Telly Awards?